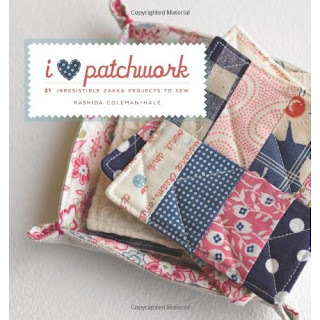 I have set aside my quilting as of late, just briefly, to try my hand at other kinds of sewing. I was curious about "Zakka" sewing and purchased the book above. In the book, Zakka is defined as: "...most Japanese/English dictionaries have translated the word to mean "miscellaneous goods". That vague definition expanded and evolved over the years and Zakka is now understood as an aesthetic and design style, mainly focused on household items that enhance one's environment. A lot of handmade Zakka is created with linen and has an organic look." 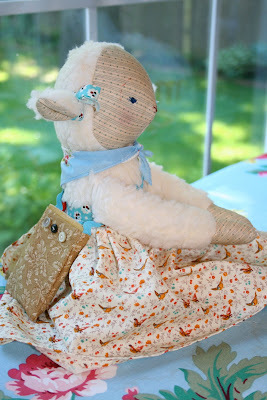 One of the patterns was to create this little lamb softie. I have never worked with fleece before and I can say that it was a bit of a challenge for me as it pulls apart and one has to be careful of the grain of the fabric so it does not stretch in a direction that you don't want it to go. I am not used to sewing such tiny pieces but as she came together I really started to like the personality that began to shine through. I made her a little book bag as well. It was a fun project and I hope to make more in the future. 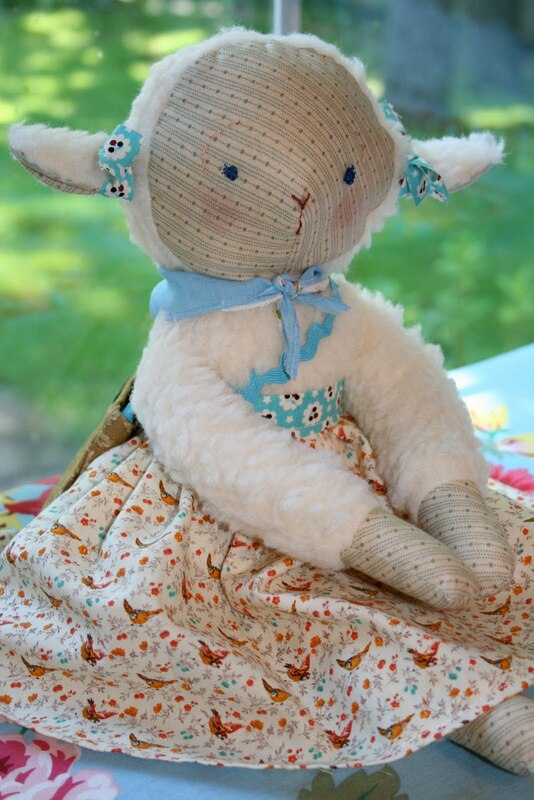 Before I make another stuffed animal, I think I will look for a good book on doll-making. I'm sure there's many techniques that would make the process easier. Do you know of any good doll-making books? That little lamb is too sweet! that little lams is SO precious!! 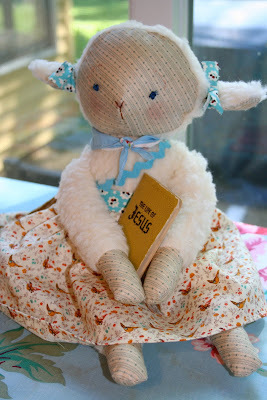 I don't know about the books but that lamb is just the cutest thing I have seen ever! Precious! I can't help you with a book, but do you know about this blog - http://www.zakkalife.blogspot.com? Not sure if she's part of the Zakka book, but it's a fun blog. That is the sweetest little lamb. You did a great job. I started my sewing business 30 plus years ago making dolls and stuffed animals. I don't remember any specific books, although I'm sure there are plenty out there. I think you just learn from experience and I think you have got a good start on that.